Our location, available workforce and incentives combine to make SEK Business Park a fertile ground for new and expanding ventures. The SEK Business Park is a 597 acre development ideally situated for business success. We are located within 600 miles of over half of the U.S. population, on Interstate 75, one of America's major north-south transportation arteries. Southeast Kentucky is home to Cumberland Gap National Historical Park and birthplace of the world famous KFC franchise. 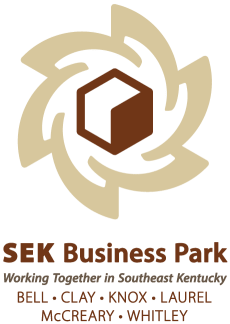 SEK Business Park offers a workforce availability of thousands and access to Kentucky Business Incentives. Southeast Kentucky Business Park is a regional partnership of Bell, Clay, Knox, Laurel, McCreary and Whitley Counties under the direction of the Southeast Kentucky Industrial Development Authority. Call (606) 528-6390 for more information. © Copyright 2019 Southeast Kentucky Regional Industrial Authority. All Rights Reserved. Site provided by GrowthZone - powered by GrowthZone software.